We are very excited to announce that the Dual Yellow laser treatment is now available in the Philippines. The results are visible even after a single treatment leaving the skin looking more radiant and smooth with pores visibly smaller and skin whiter and fairer. The Dual Yellow laser treatment is a safe and painless procedure. 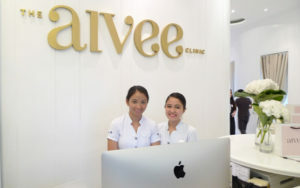 Contact Aivee Clinic or come in clinic to make an appointment. Our new distributor, TRITAN VENTURES Inc., based in Makati City is now fully trained to sell and service the Dual Yellow laser. So don’t hesitate to contact the team if you are interested in the Dual Yellow laser.